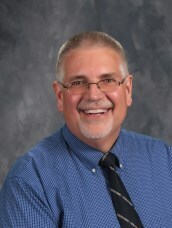 Mr. Stephen Rensner currently serves as Calvary’s principal. He was born in Chicago, IL. Mr. Rensner’s undergraduate degree in Elementary Education was conferred at Concordia Teachers College, River Forest, Illinois. He earned a Master’s degree in Administration from Butler University. He has served in the education field as teacher and principal for a combined 37 years. Mr. and Mrs. Rensner are blessed with two daughters, six granddaughters & one grandson. A fun fact about Mr. Rensner is that his last name is a palindrome!